THE parents of Madeleine McCann have hit out at fresh claims their daughter disappeared after waking up and wandering out of their holiday apartment on the night she vanished in Portugal over a decade ago. Kate and Gerry McCann branded the theory "insulting" after news emerged at the weekend that British and Portuguese detectives were re-visiting the possibility the toddler left the Algarve apartment on her own accord on May 3, 2007. 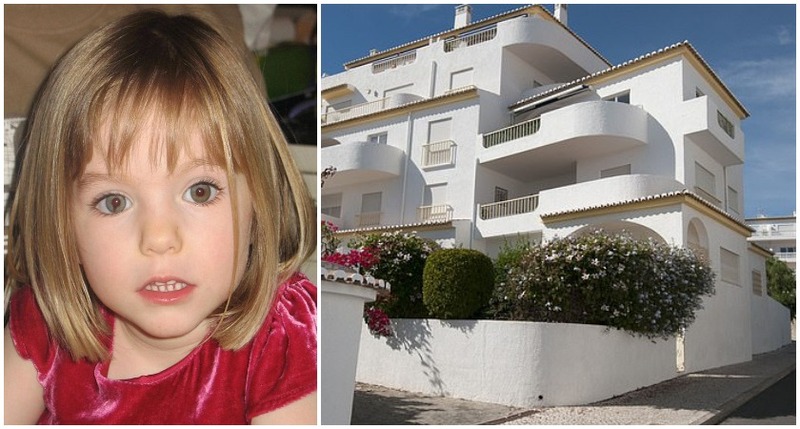 The couple, who live in Leicester, continue to insist the three-year-old was kidnapped as they ate dinner just yards away at a hotel restaurant while on holiday in Praia da Luz 11 years ago. A family source told MailOnline: "Kate and Gerry have always maintained that their daughter was abducted and simply didn't get up and wander off to her fate. "There were heavy shutters which would have been impossible for a small child to open. "To suggest this is almost ridiculous." The UK Home Office earlier this month granted an extra £150,000 to police investigating the missing British youngster's infamous disappearance. Funding for the investigation, known as Operation Grange, ran out at the end of September – while the controversial probe has cost £11.6 million overall so far. In a statement, a Home Office spokesperson said: "We have confirmed that Special Grant funding of £150,000 will be provided to the Metropolitan Police Service for the six-month period to 31 March 2019." Speaking on BBC Radio 4 in September, Gerry McCann recalled his heartbreaking memories of the night Maddie vanished 11 years ago. "Kate was screaming, 'Madeleine's missing, she's gone', and I was like she can't be gone," he said. "I remember running in and checking the bedroom but obviously she wasn't there. "It was disbelief that she said Madeleine was missing. Disbelief, shock, horror and then panic and terror". Mr McCann added: "I could only think of one scenario at that time...I was sure she'd been abducted." The Scottish-born consultant cardiologist admitted that he rarely thinks back to that fateful night because the thoughts are too painful. He recalled how the family had quickly raised the alarm but soon became consumed by an "overwhelming" feeling of helplessness.